Mailchimp has asked Shopify to remove the Mailchimp integration from their marketplace after colliding on privacy concerns with Shopify’s updated terms of service. The split was not mutual, with each side saying it was for the best interest of their customers to seperate. This announcement is a big one in the e-commerce and marketing community, so what does it mean and how can you handle it? If you are a business that focuses your marketing on past purchasing history this move will have an impact for you. The effect will not be immediate as the Mailchimp integration will not be removed from Shopify until May 12. So good news, if you are currently using this integration you have over a month to find a suitable alternative. 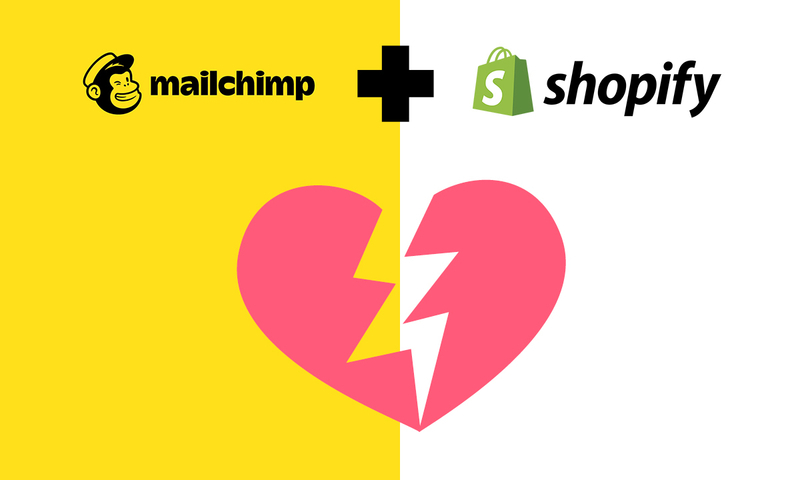 Shopify loses Mailchimp as they try to sustain their growth and position in the e-commerce business. Shopify is looking for merchants to share their general customer data, which is basically just name and emails, back to Shopify. They are asking for this data to comply with privacy legislation and to ensure Shopify can reliably serve their customers by offering a seamless connection with a consistent flow of information. The move by Mailchimp comes following their partnership with Square to strengthen their position in the e-commerce sector and possibly align themselves against Shopify. The move may offer more competition and different options for your targeted marketing and e-commerce choices in the future. If you are partnered with MailChimp or Shopify, you have some time to decide on a course of action. But don’t wait until the last minute to make up your mind. MailChimp responded with possible changes and solutions. Shopify did not offer the same help, but did release a statement addressing the news. This likely will not be the last battle we hear over customer data in the e-commerce industry. Read the articles and contact us at Omni Online so our experts can help create a customized plan to ensure your business doesn’t miss a beat. We can provide the knowledge needed for you to be prepared to adapt to similar future developments.